We at WPH love our four-legged friends. We won’t leave home without them. They come everywhere with us - to shop, to brunch, and to the beach. That’s why it goes without saying that at WPH we’re pet friendly. After all, what’s the point of a vacation without our babies by our side? That said, while you’re in SoBe make sure to check out these pet-friendly spots. We’re not just pet-friendly at WPH. Here we reward you for bringing your pet with you during your stay in South Beach. At WPH, your dog stays free and you get 10% off your room, which translates to you enjoying the hotel’s lush grounds with your best four-legged friend. That said, when booking your WPH room, make sure to book the Furry Bark Package. You can book the special here. What would a SoBe trip be without a shopping trip? Well, that applies to your pet too. Take him or her to the spot where the dog craze started in SoBe - to Dog Bar, the ultimate pet store in South Florida. Located in Lincoln Road Mall, Dog Bar is where you can keep your pet privileged and pampered. And considering that it’s located in one of Miami’s best malls, a trip to Dog Bar also means you can also get something for yourself. Here’s our SoBe shopping guide, just in case. This is just as much for you as it is for your pooch. Here there are treats for both man and beast. Yet, dog or no dog, it’s hard to stay away from Shake Shack for long. So while you’re chowing down on your ShackBurger and concrete, your baby can lap up a Poochini, made with doggy biscuits, peanut butter sauce, and vanilla custard. Even better is that this is also located in Lincoln Road Mall, making it a perfect afternoon snack for that appetite you worked up while shopping. Unfortunately, Lummus Park doesn’t allow our four-legged friends. In that aspect it definitely loses some brownie points in our book. However, there is North Shore, which is just up Collins - and well worth the trip in the Miami sunshine. Here your doggies can run free and play in the two parks on site - one for big dogs and one for small - and you can get some well deserved beach time on one of Miami’s most secluded beaches. You may have to cross over the bay for this one, but let us just say, it’s worth it. Located in Coconut Grove, LoKal is the primo dog-friendly joint. Here both pets and owners can indulge in some fine food, including the restaurant’s pet-centric menu. Let your canine choose between meatloaf and chicken and rice, and wash it down with a doggy beer. That said, the human menu isn’t too shabby either. 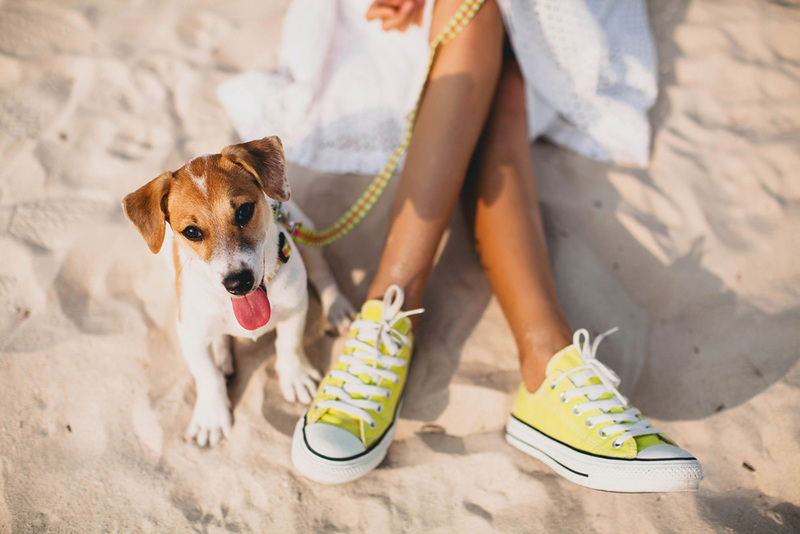 Ready to take your pet on vacay? Treat your four-legged friend to a stay at WPH. Select our Furry Bark Package during booking. Although we love cats, our pet policy only applies to dogs.